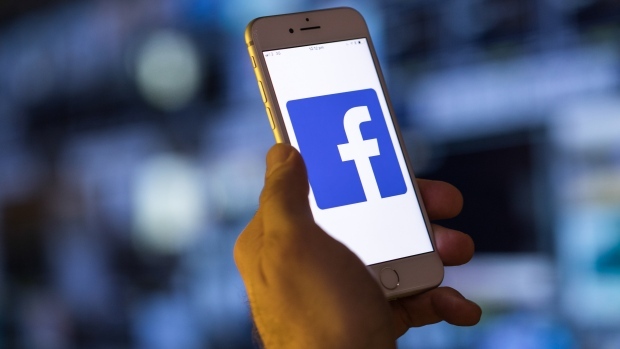 The U.K. is targeting the likes of Alphabet Inc. and Facebook Inc. by introducing a digital services tax that aims to raise 400 million pounds a year (US$512 million) for the government. U.K. Chancellor of the Exchequer Philip Hammond unveiled the measure in his Autumn Budget in London. He said it was designed to hit the largest internet businesses -- not consumer or internet startups. It would affect companies that were profitable and with annual revenues of at least 500 million pounds, he said. Representatives for Google and Facebook did not immediately return a request for comment. The tax, which will be a temporary measure, follows the Chancellor of the Exchequer’s comments during a speech at the Conservative Party conference Oct. 1 that the U.K. would “go it alone” if a EU version of the tax continue to stall. The EU version of the tax, which would require the unanimous support of the bloc to be passed, is being blocked by some countries like the Czech Republic that argue the cost of collecting the tax would be higher than the amount revenues it would generate. Controversially, the U.K. tax it targets the revenue these tech giants and not profits, according to tax practitioners, potentially making the country a less attractive place for large tech companies to supply their services. Startups will not be in scope for the tax, Hammond emphasized. Russ Shaw, founder of Tech London Advocates, an industry body, said the digital services tax was "a prudent step" but "the wrong approach." "Tackling the digital tax question without coordinating efforts with the U.S. and EU as key global partners," he said, "will only further entrench Britain in an isolationist position we cannot afford." The digital services tax was first proposed by the U.K. government in a report on taxing the digital economy published in November 2017. The EU followed the U.K. with its own version of the proposed tax that it would apply to digital companies with total annual worldwide revenue of 750 million euros ($860 million) and EU revenue of 50 million euros.